Home Sky Northern Lights Spotless sun sparks bright auroras continuously during 5 consecutive days!?! Spotless sun sparks bright auroras continuously during 5 days in a row… What? For a whole week, Oct. 9th – 15th, the face of the sun was utterly blank. 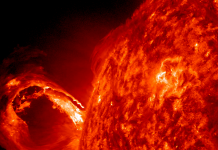 There were no sunspots and no solar flares and NOAA classified solar activity as “very low.” At the same time, space weather was remarkably stormy. 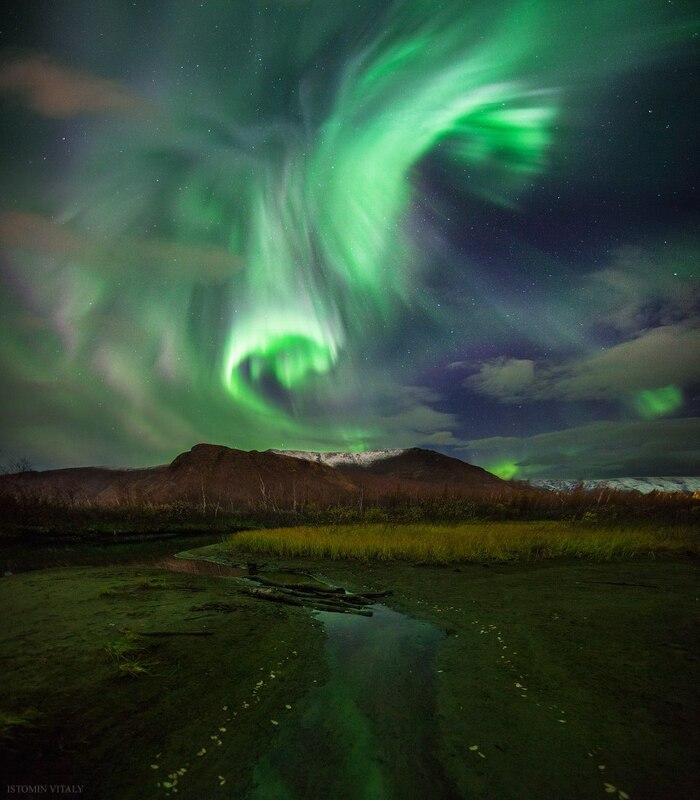 From Oct. 11th through 15th, not a single day went by without a geomagnetic storm! 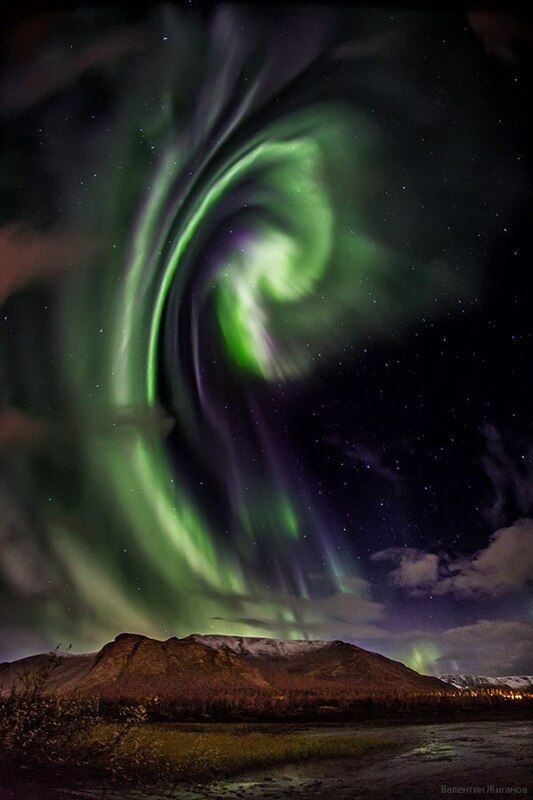 Brilliant auroras appeared in the sky of Alaska, Sweden, Iceland, Norway, Canada, Russia and Finland. In the USA, Northern Lights descended as far south as Michigan, Minnesota, Wyoming, and Washington… ALL WITHOUT A SINGLE SUNSPOT!?! 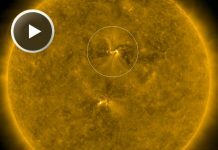 There is currently a giant coronal hole on the sun. 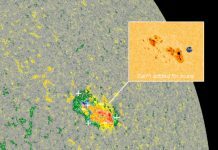 And this hole in the sun’s atmosphere allows solar wind to escape, mimicking the effect of a CME and lighting up polar regions with beautiful northern lights during FIVE DAYS OF CONTINUOUS G1- and G2-class GEOMAGNETIC STORMS. 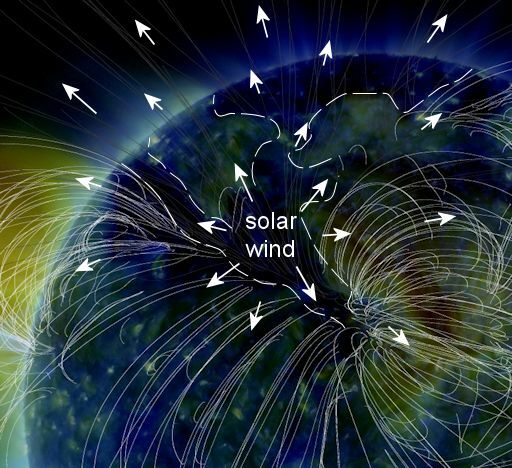 The geomagnetic storming was also captured on magnetometer in England as Earth’s magnetic field started rattling. Coronal holes are present throughout the solar cycle, even during Solar Minimum when sunspots are scarce… Thanks to them space weather never stops. Their messing in Gov is one thing but messing with the sun, moon, & planets & let us not forget Geoengineering our weather, floods, draught. The other Big movie to hit the Theater’s ,On deadly Fires . is this all but TOO!!! strange , or is it ? Feast of the Tabernacles occurred nearly at that time. About 1 week length. PIC #2 MANS DOUBLE HELIX DNA, BUT NOTICE THE THIRD STRAND = SATANS DNA THE TRIPLE HELIX. CONTAINS THE DNA OF SATAN. THE TRIPLE HELIX THE THIRD STRAND INSERTED INTO MANS DOUBLE HELIX DNA. THROUGH DNA TECHNOLOGY RELEASED BY THE MARK WILL CAUSE YOU TO TRANSFORM INTO A NON HUMAN ENTITY. A THING UNRECOGNIZABLE BY GOD THAT HAS NO PLACE FOR HUMAN REPENTANCE. BUT GOD CARES NOTHING FOR YOUR HUMAN CORRUPTIBLE FLESH. YOUR SOUL, THROUGH THE SPIRIT IS THE ONLY WAY WE CAN WORSHIP GOD. BY THE WORLD WHERE IN HIS TIME GENETIC ENGINEERING WAS TAKING PLACE. WERE ALL UNHOLY HORRORS CREATED BY THE KNOWLEDGE OF THE FALLEN ANGELS CORRUPTING MANKIND INTO THE GREAT FLOOD. PIC #3 THE NON HUMAN ENTITY, = THE BEAST.